The most popular finish/coating is “Gal” which uses a Pre-Gal section of steel for the main shaft of the post with Cold Gal paint used to touch up the End Plates & Weld after fabrication. For better protection the posts can be “Hot Dip Galvanised” after Fabrication so that the entire post is coated inside & out. Posts can also be Powder Coated in a range of colours. 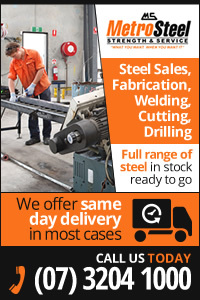 At Metro Steel, we can provide you with a range of different posts for your fencing and structural needs. Whether you need posts to support your deck or posts to use with fencing around your swimming pool, we’ve got you covered. 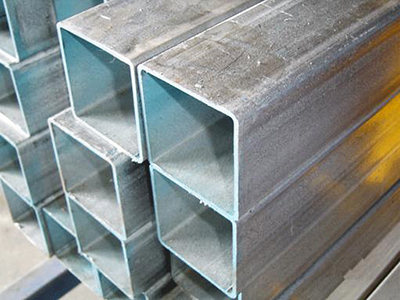 Our steel posts can be supplied in round, rectangle, or square shapes, in a multitude of sizes, thicknesses, and lengths. Alternative top and base plate configurations, cleats, holes, and side tags as well as any other special requirements you might have, can also be fabricated depending on your project. All of our RHS posts are made to Australian standards and can be supplied with a galvanised or painted finish. Lengths can be purchased individually or as a bundle and if you can’t find the length you need, we can cut it to any size depending on your project requirements. Our versatile steel posts have many uses for both the home handyman and the tradesman and while primarily they’re used for fencing, because they’re light in weight and durable, there are endless options. Our entire range of steel posts is designed to be erected either by setting in concrete or by welding down. The most popular finish/coating is “Gal” which uses a Pre-Gal section of steel for the main shaft of the post with Cold Gal paint used to touch up the end plates and weld after fabrication. For better protection, the posts can be hot dip galvanised after fabrication so that the entire post is coated inside and out. Hot dipping involves immersing the post in molten zinc once it has been fabricated to provide greater resistance against corrosion. Posts can also be powder coated in a range of stylish colours to match your décor or complement your surroundings. How is it created? Stock lengths of RHS or pipe are cut to length to be used as the shaft. They then have custom-made plates welded to them as per the customers/engineers requirements. The Most Popular Outer Dimension of Shaft Sections are square 75×75, 89×89 & 100×100. The most common wall thickness of the Shaft used is 3.0, 3.5 & 4.0mm but subject to engineer’s specification. Our customer service is excellent so why not drop by and test us out for yourself? Cost – Perhaps the biggest advantage over using timber is that steel posts are cheaper plus they’re quick and easy to install. Weight – Steel posts are approximately 30% lighter than a timber post of a similar strength. This makes them easier to transport, store, and to handle. Bendable – Steel posts don’t break like timber posts. Instead, they may bend but in many cases, they can be bent back to shape. Recyclable – If ever there was a reason to use steel posts it’s the fact that steel is the most highly recycled product in the world and can be used time and time again without compromising on its strength and durability. Stock lengths of RHS or Pipe are cut to length to be used as the Shaft then have custom made plates welded to them as per the customers/engineers requirements. Posts are typically designed to be cast into concrete or to bolt down on top. Give us a try and see the difference! !